If you follow me on Instagram, you will know that I am massive foodie! I love nothing more than checking out new restaurants and pop-ups and indulging my love of food whilst making a night of it. I love the idea of mixing a meal-out with something different and anything to make 'eating out' more memorable is always a plus. Many restaurants these days are thinking of new and exciting ways to engage with their customers, I recently went to a cafe in York where you have to roll a dice to determine how much you pay for your lunch (I rolled a double 6 and got two sandwiches and two coffees for £1, so naturally, I loved it!) Therefore, when I heard about this exciting new pop-up restaurant which mixes food with entertainment, I was excited! I love a good card game, especially when on holiday with a couple of cocktails to relax and pass the time. However, I must admit, I have never understood the complicated rules of poker- whenever someone tries to explain it to me I have drifted off into another world before they get to the end. However, I am prepared to learn for this new pop-up concept... 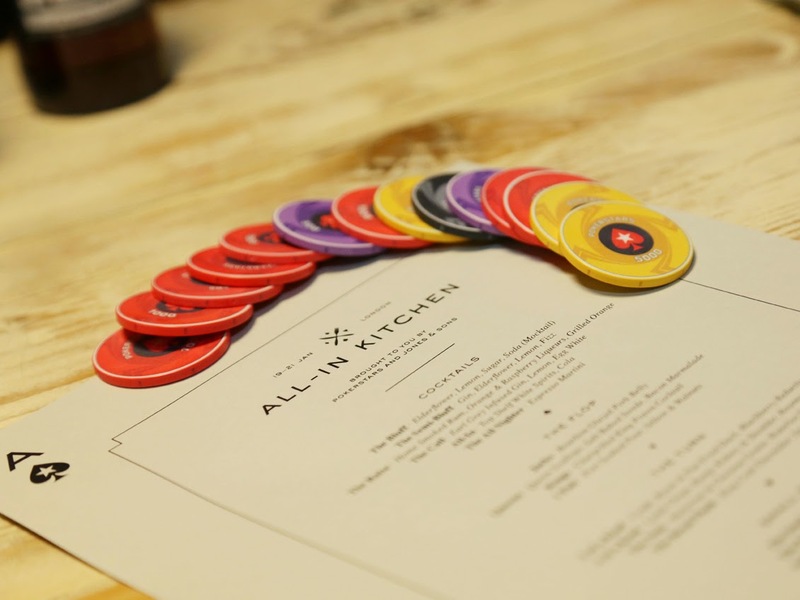 The All In Kitchen is the world’s first 'pay-by-poker' restaurant! You literally play a game of poker to determine how much you pay for your meal! Here's how it works: First you play three hands of poker. Then, what you pay is based on how many chips you have at the end of those three hands. That could be £10, £5 or absolutely nothing! Therefore, even if your poker game fails miserably (most likely for me) you're still only paying £10 for a three course meal, normally worth about £50 a head! 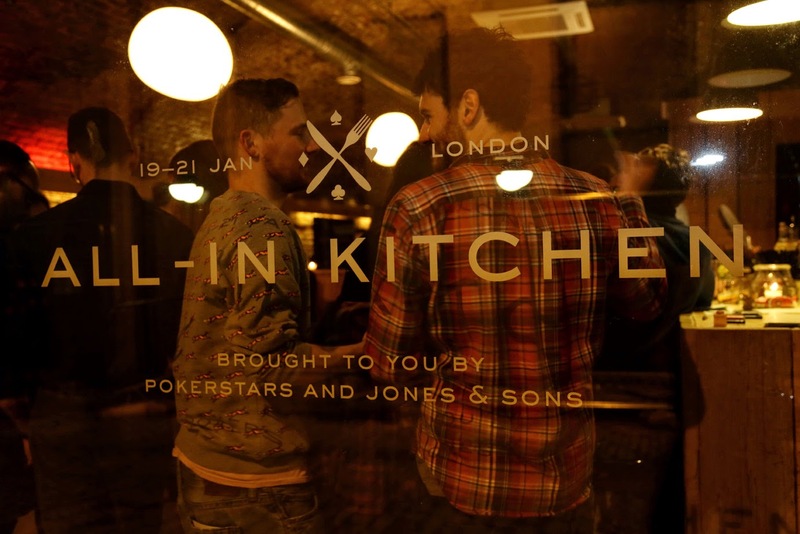 The menu is also deliciously poker-themed, featuring a 'Royal Flush of King Crab Thermidor', 'Queen Scallops accompanied by Salt Baked Swede and Bacon Marmalade, '4 Of A Kind of Lamb Chops, Rump, Kidney and Shoulder With A Rosemary Jus' and even a '2 Pair of Pear Tarte Tatin, Pear Caramel and Ice Cream'. My mouth is watering just reading that! Therefore, it's not just your standard burger and chips- this is real, gourmet food! You can just go along and soak up the atmosphere and pay full price for your meal or you have the option to play to win your meal for less or completely free.... At just £10 at the most for that... you will be laughing, even if you lose! 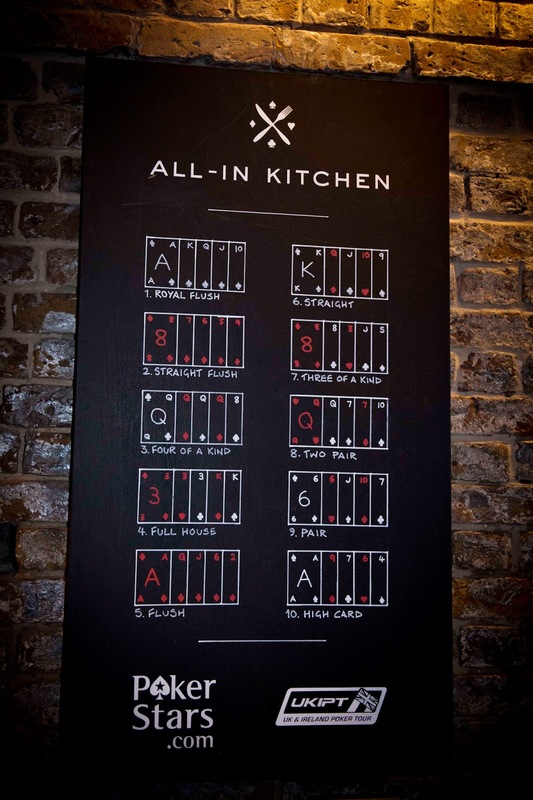 The All-In Kitchen is now on tour and will re-appear in locations across the country so keep your eyes peeled for it opening up again near you! I can't play poker but what a lot of fun! Culottes- What Do You Wear Them With?! !